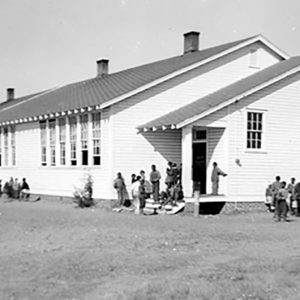 The first public school for African American students in Myrtle Beach (1930s to 2001), it was a six-room frame building similar to the Rosenwald schools. The school, replaced by Carver Training School in 1953, was torn down in 2001 but was reconstructed nearby at Dunbar St. and Mr. Joe White Ave. in 2006. Marker erected by the City of Myrtle Beach and the Myrtle Beach Colored School Committee, 2006.